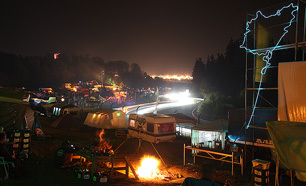 The 24 Hours Nürburgring is a legendary endurance race held in May or June every year on the Nürburgring, located in the Eifel mountain range in the west of Germany near the Belgian border. 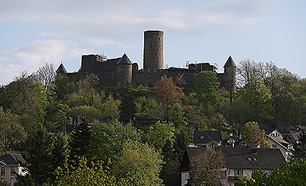 because it sits on the grounds of the medieval Nürburg Castle. open-wheel racing. Over 200 racecars will compete from teams of various experience and skill levels, from amateur to professional. 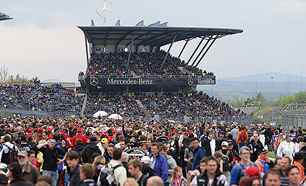 The 24 Hours Nürburgring is a popular event that draws race fans from all over Europe. 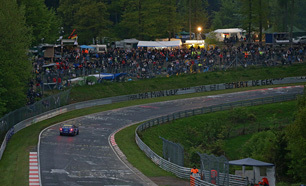 The Nordschleife is considered to be one of the most demanding circuits for race machines and features the typical characteristics of almost every type of road around the world: a narrow mountainous course with rough surfaces coupled by blind corners and blind crests, no lighting and minimal safety features, and a multitude of sections where racecars jump clear off the track surface. The dangers are not limited to the course itself. With so many different types of vehicles of varying performance characteristics, the drivers must be equally wary of their fellow competitors. The variety of racecars, from gasoline and diesel-powered, to natural gas, and hybrid electric, are entertaining to fans but precarious to drivers because the differences in speed can vary incredibly from one racecar to the next. Every component of a racecar is subjected to immense pressures and loads when participating in the race at high speed over 24 hours, and the chassis themselves require outstanding balance, endurance and handling. 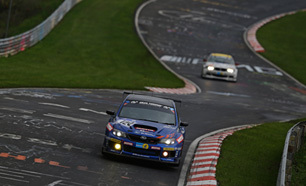 Since 1992, the Nürburgring Nordschleife has been the proving ground for SUBARU. It’s the final test to make sure production models have the durability, performance, and most of all, the “Enjoyment and Peace of Mind” SUBARU vehicles are known for. Though testing is important, SUBARU isn’t above going for the occasional speed run in order to push the limits of performance. SUBARU’s best-ever lap was 7 minutes and 55 seconds, completed in 2010 by WRC driver Tommi Mäkinen, besting many vehicles with more power and larger engines than the WRX STI. Technology that inspires confidence, rather than outright horsepower, enabled Tommi’s impressive lap. 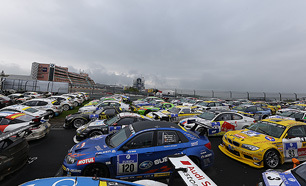 SUBARU first took part in the 24 Hours Nürburgring in 2008 with the WRX STI and has participated with STI’s very own. 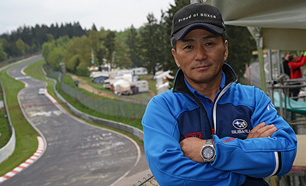 Subaru Tecnica International has always held the Nürburgring in high regard. It’s the symbolic place of worship for the ideals of the company, and the proving ground for STI technology. Central to this is the belief that if a vehicle can survive the challenge of the Nürburgring, it can handle anything. Whether competing in motorsports or developing mass-produced vehicles, using the Nürburgring as a barometer has taught STI engineering lessons that no textbook or computer simulation could have provided. The Nürburgring Nordschleife aligns perfectly with the ideals of SUBARU. It’s the standard to which all SUBARU vehicles—racing and production—are measured. For taking on the Nürburgring in competition, STI prefers using mass-produced SUBARU cars as a starting point. Compared to purpose-built racecars made for sprints and specific circumstances, mass-produced cars are favored by STI for their manipulability, safety, comfort, durability, functionality, quietness and environment-friendliness. The result of enormous amounts of testing and development, these qualities are paramount for overcoming the challenges of Nürburgring, a circuit that features the characteristics of every type of road found around the world.